The rent at The Timbers Apartments ranges from $1,899 for a studio to a $2,415 two bedroom. Apartments in this building are about 6% more expensive than the Jackson Triangle average. This is a cat-friendly apartment. This apartment is in the Jackson Triangle neighborhood in Hayward. Nearby parks include Schafer Park, Kenneth Birchfield Memorial Park and Southgate Park. The Timbers Apartments has a Walk Score of 74 out of 100. This location is Very Walkable so most errands can be accomplished on foot. 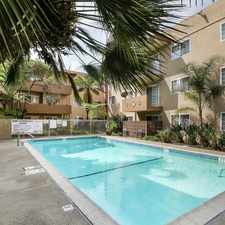 The Timbers Apartments in Hayward, CA has studio, 1 bedroom loft, 1 bedroom flat and 2 bedroom loft apartments for rent. 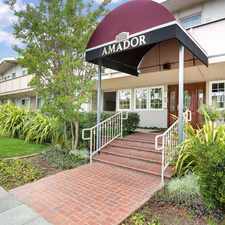 These Hayward apartments feature a beautiful surrounding that is enhanced by the apartment community's prime location. Everyday living is simplified by being conveniently located in Hayward, CA just within minutes of major freeways I-880 and I-92, Oakland International Airport, parks, shopping, theaters, restaurants and downtown Hayward. Relax and enjoy all of the amazing amenities offered at The Timbers Apartments! Cool off in our huge outdoor swimming pool or take a relaxing dip in our hot tub. If thatђs not your thing, we have a state-of-the-art fitness center open 24 hours a day to keep you in shape! Our laundry facilities are also open 24 hours a day for your convenience. Rediscover what it feels like to be truly pampered by a caring, conscientious and professional staff in one of the studio, 1 bedroom loft, 1 bedroom flat and 2 bedroom loft apartments for rent. Tour our photo gallery or stop by and see why The Timbers is the perfect Hayward, CA Apartment Community to call home! Explore how far you can travel by car, bus, bike and foot from The Timbers Apartments. The Timbers Apartments has some transit which means a few nearby public transportation options. Car sharing is available from RelayRides. View all Jackson Triangle apartments on a map. Search for homes in Hayward or find a Hayward real estate agent who knows walkable neighborhoods. Links will open on our partner site Redfin.com. The Timbers Apartments is in the Jackson Triangle neighborhood. Jackson Triangle is the 8th most walkable neighborhood in Hayward with a neighborhood Walk Score of 57. 21059 - 21063 Royal Ave. Furnished Studio - Union City - Dyer St.